Every year, Mother’s Day creeps up on us: and it’s right at the end of the month too, not so ideal for our bank balances. Whether your mum shows you up with her music taste, loves travel or is a bookworm, there’s something for everyone. Most mums would rather spend time with you than receive a gift, so why not buy her an experience she’ll never forget. For the musical mums, Scotland is brimming with events and festivals in the upcoming months, so why not treat the woman who gives you everything? TRNSMT (12-14 July) is bringing the best talent to the Glasgow Green stage this summer. From George Ezra, Florence + the Machine and Jess Glynne, to Snow Patrol and Richard Ashcroft, there’s something everyone will enjoy. Summer Sessions (7-25 August) is bursting onto the scene in August, with performances from hit 80s and 90s icons, The Cure, Primal Scream, James and Johnny Marr, as well as two nights from the singer every mum wishes was her own son, Lewis Capaldi. @catfishandthebottlemen took Bellahouston Park last year for Summer Sessions and it was incredible 🙌 Share your #smmrsesh memories with us! Tickets for both festivals are selling out fast, so make sure to bag yours ASAP! We all love to jet set off to far-flung lands when we can, and mums are no different. Does your mum talk about needing a holiday every five minutes? How she’s rushed off her feet, but doesn’t want anybody’s help? Show her how much you appreciate her with one of these great gifts. Now, we’re not suggesting you pay for her to go on holiday – that would be too expensive. However, some airlines, including Ryanair, offer gift vouchers, which can be put towards flights, so when she does go to book a holiday, she can get it for cheaper thanks to you. 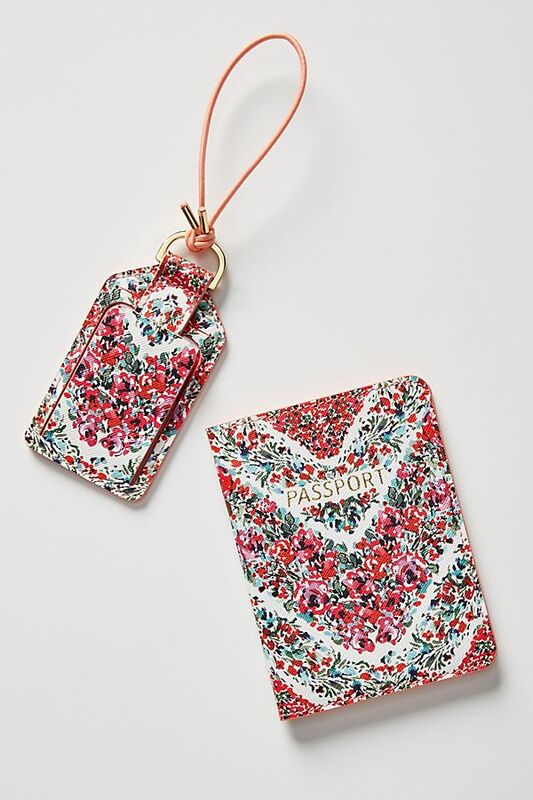 Or if she already has a trip booked, why not buy her a travel guide for the city she’s visiting, or a travel accessory, such as a passport holder and luggage tag, or pair of sunglasses? She’ll definitely appreciate it. For the mum that already has everything (AKA, you), why not donate to a charity in her name? Find out some of her favourite causes, or if she has a charity she donates to regularly, and send them the money you would have spent on a gift. The thoughtful gift will not only gain you some brownie points, but also give back to a deserving cause this Mother’s Day. No matter how you’re celebrating Mother’s Day this year, the most important thing is that you show her how much you appreciate her in a way that’s personal to her. And if you’re really stuck for ideas, you can’t go wrong with a bouquet of flowers. Are you following Source on Twitter and Instagram? Make sure you do for all the latest shopping tips.